The Digital Chart Recorder System uses data from any real time or historical source to populate charts displayed on a video wall which consists of a configurable size matrix of display devices. For those customers that prefer, Scipar can provided SCADA systems utilizing GE Fanuc's iFIX™ products. These systems operate on standard personal computers under the Microsoft XP Professional operating system. In addition to the standard iFIX™ SCADA configuration, Scipar offers value-added enhancements such as a hot redundant master station, extensions of standard iFIX™ block types, and automatic report generation. Customized Scipar features include one and two dimensional lookup tables, handling of daylight savings time transitions, and automatic disk maintenance procedures. Scipar provides a proven capability in developing custom device drivers for iFIX™, using GE Fanuc's OLE for Process Control (OPC) Server toolkit. Scipar offers SCADA systems that are built around Hewlett-Packard's OpenVMS operating system. These systems are available to run on Integrity platforms. High system availability can be ensured by selecting a configuration that includes a Redundant Master Station computer. This hot standby mode maintains an up-to-date copy of the system databases and can take over immediately in an unlikely malfunction of the control system. 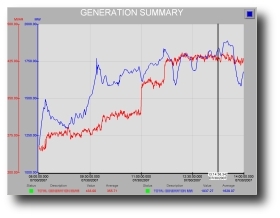 The standard SCADA software provides support for polling numerous devices, alarming, calculated values, historical archiving, accumulator freeze processing, and report generation. There is no limit to the number of Human Machine Interface (HMI) nodes that can be added to the system. 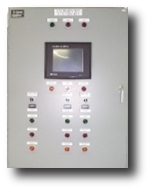 Each HMI provides operators with up-to-date information about the current state of the system. Control operation can be initiated by personnel with sufficient privilege from any console. 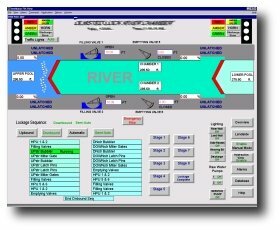 Scipar's PLCs have been applied to water distribution systems, lock control systems, hydroelectric plants, flood control systems, process control systems and fuel leak detection.